This page is a work in progress: a master list of all my booknotes and recommendations over the years. I’ll update as time permits. 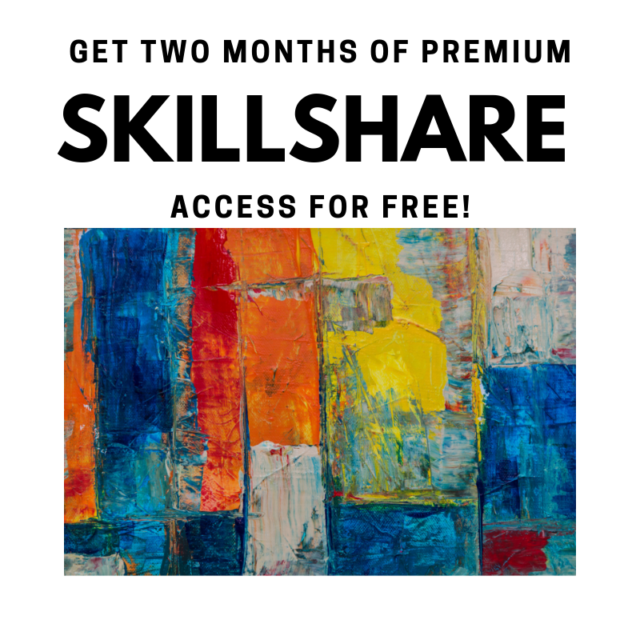 Clicking on a title will take you to my post about the book. Sometimes a single post will contain commentary on several books, so you may have to scroll down a bit. 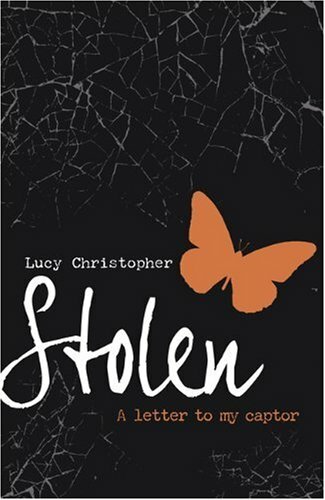 For books I’ve written, click here. • Natalie Babbitt: Bub, or: The Very First Thing. • Molly Bang: The Grey Lady and the Strawberry Snatcher. • Linda Berkowitz: Little Bird and the Moon Sandwich. • Elsa Beskow: Pelle’s New Suit. • Franny Billingsley, ill. G. Brian Karas: Big Bad Bunny. 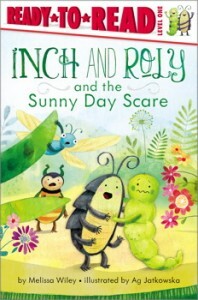 • Jeanne Birdsall, ill. Matt Phelan: Flora’s Very Windy Day. • L. Leslie Brooke: Johnny Crow’s Garden. 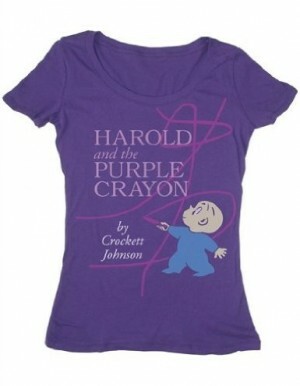 • Nancy White Carlstrom, ill. Bruce Degen: Jesse Bear, What Will You Wear? • Sandra Cisneros, ill. by Terry Ybanez: Hairs/Pelitos. • Barbara Cooney: Miss Rumphius. • Valerie Coursin: Mordant’s Wish. • Doreen Cronin, ill. Harry Bliss: Diary of a Fly. • e.e. cummings, ill. Deborah Kogen Ray: hist whist. • Alexandra Day: Good Dog Carl. • Alexandra Day: Carl’s Afternoon in the Park. • Kate DiCamillo & Alison McGhee, ill. Tony Fucile: Bink and Gollie. • Anneke Dunklee, ill. Matthew Forsythe: My Name Is Elizabeth. • Candace Fleming, ill. Stacey Dressen-McQueen: Boxes for Katje. • Mem Fox, ill. by Pamela Lofts: Koala Lou. 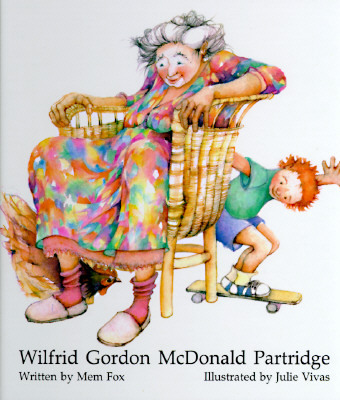 • Mem Fox, ill. Julie Vivas: Wilfrid Gordon McDonald Partridge. • Deborah Freedman: Blue Chicken. • Tony Fucile: Let’s Do Nothing! • Bob Graham: How to Heal a Broken Wing. • Keith Graves: Chicken Big. • Ruth Heller: Merry-Go-Round (“World of Language” series). • Bridget Heos, ill. Joy Ang: Mustache Baby. • Kevin Henkes: Kitten’s First Full Moon. • Deborah Hopkinson, ill. Nancy Carpenter: Fannie in the Kitchen. • D. B. Johnson: Henry Hikes to Fitchburg. • Rudyard Kipling: The Elephant’s Child. • Laurie Keller: The Scrambled States of America. • Ole Konnecke: Anton Can Do Magic. • Lerryn Korda: Rocket to the Moon. • Lisa Kopper: Daisy Thinks She’s a Baby. • David LaRochelle, ill. Jeremy Tankard: It’s a Tiger! • Tom Lichtenheld, Ezra Fields-Meyer: E-mergency! • Astrid Lindgren: The Tomten. • Sam Lloyd: Mr. Pusskins and Little Whiskers. • Amy MacDonald, ill. Marjorie Priceman: Rachel Fister’s Blister. • Jeff Mack: Good News, Bad News. 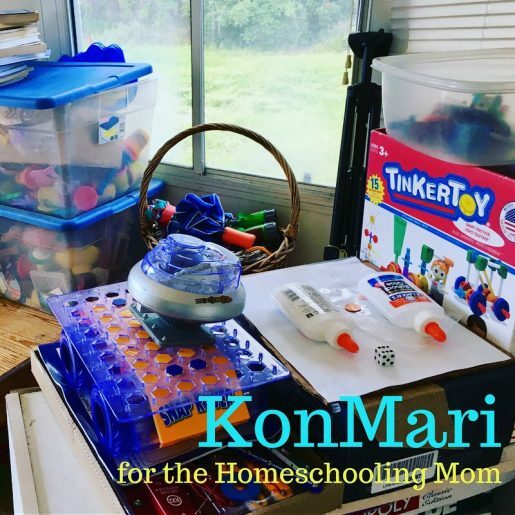 • Thomas McKean: Hooray for Grandma Jo. • Alice McLerran, ill. Barbara Cooney: Roxaboxen. • Iona Opie, ill. Rosemary Wells: My Very First Mother Goose. • Satoru Onishi: Who’s Hiding? • Mary Pope Osborne, ill. S. Saelig Gallagher: Moonhorse. • Antoinette Portis: Not a Box. 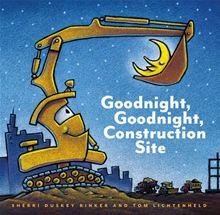 • Sherri Duskey Rinker, ill. Tom Lichtenheld: Goodnight, Goodnight, Construction Site. 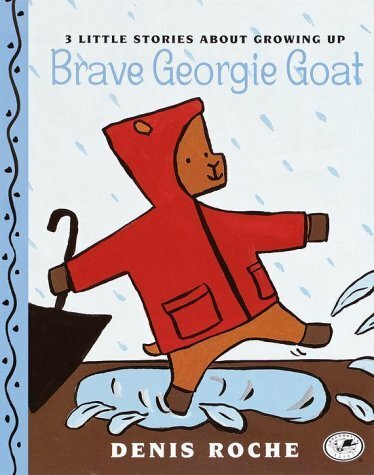 • Denis Roche: Brave Georgie Goat. • Scott Russell Sanders, ill. Helen Cogancherry: The Floating House. • Roslyn Schwartz: The Mole Sisters and the Rainy Day. • Jon Scieszka, ill. Lane Smith: Cowboy & Octopus. • Stephen Shaskan: A Dog Is a Dog. • Bob Shea: Dinosaur vs. Bedtime. • Nancy Shaw, ill. Margot Apple: Sheep in a Jeep. • Linda Smith, ill. Kathryn Brown: When Moon Fell Down. • Jean Conder Soule, ill. George Booth: Never Tease a Weasel. 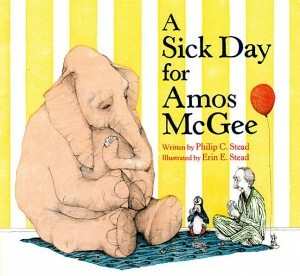 • Philip C. Stead, ill. Erin E. Stead: A Sick Day for Amos McGee. • William Steig: When Everybody Wore a Hat. 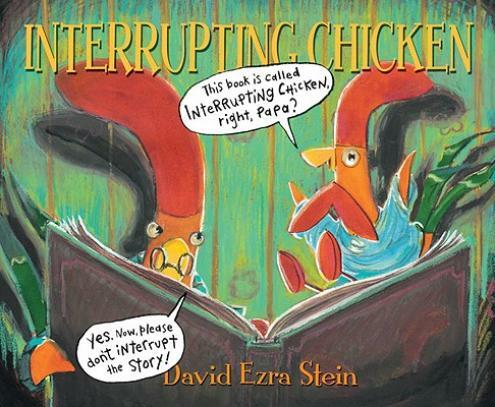 • David Ezra Stein: Interrupting Chicken. • Jeremy Tankard: Grumpy Bird. 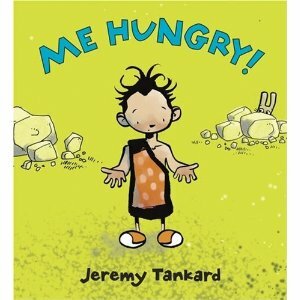 • Jeremy Tankard: Me Hungry. • Jan Thomas: Rhyming Dust Bunnies. • Tricia Tusa: Follow Me. • Janice May Udry, ill. Maurice Sendak: The Moon Jumpers. • April Halprin Wayland, George Booth: It’s Not My Turn to Look for Grandma. • Ellen Weiss, ill. Jerry Smath: The Taming of Lola: A Shrew Story. • Gloria Whelan, ill. Lynn Munsinger: A Week of Raccoons. • Karen Lynn Williams, ill. Floyd Cooper: A Beach Tail. • Karma Wilson, ill. Marcellus Hall: The Cow Loves Cookies. • Don & Audrey Wood: The Little Mouse, the Red Ripe Strawberry, and the Big Hungry Bear. 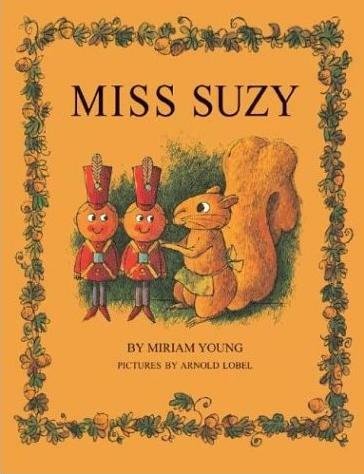 • Miriam Young, ill. Arnold Lobel: Miss Suzy. 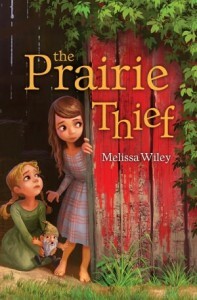 Dozens more picture-book recommendations yet to be listed: try my Rillabooks and Picture Book Spotlight archives for recent suggestions. Like these! And these, and these, and these. 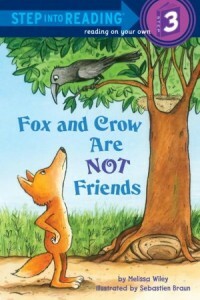 • Sid Fleischman’s wonderful Farmer McBroom books—great choices as you shift to longer read-alouds. 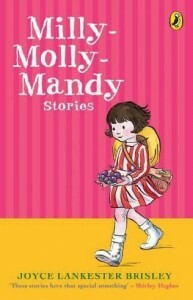 • Best-Loved Doll Books: great choices for five- and six-year-olds. 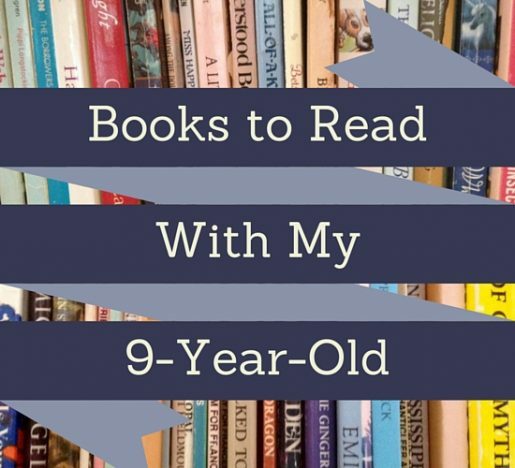 • Rilla’s favorite longer read-alouds at age six: Brambly Hedge and Tumtum & Nutmeg. Also: Rudyard Kipling’s Just So Stories. • A favorite nonfiction picture book: Autumn Leaves by Ken Robbins. 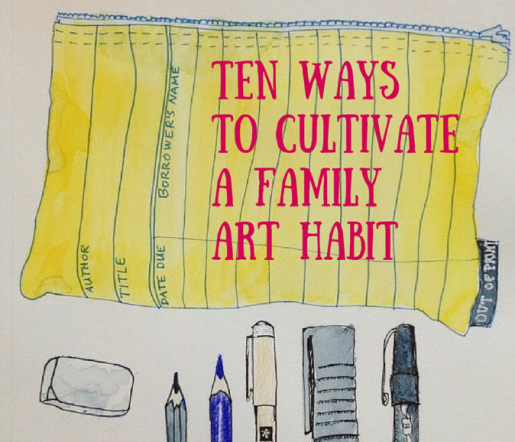 UPDATED DEC 2012: I’ve compiled a quick list of recommendations for ten-year-olds in this post. • Jeanne Birdsall: The Penderwicks. • Frances Hodgson Burnett: The Secret Garden. • Rebecca Caudill: The Best-Loved Doll. • Kate diCamillo: The Miraculous Journey of Edward Tulane. • Rachel Field: Hitty, Her First Hundred Years. • Sid Fleischman: By the Great Horn Spoon. • Rumer Godden: The Kitchen Madonna. • Rumer Godden: Miss Happiness and Miss Flower. • Elizabeth Goudge: Linnets and Valerians. 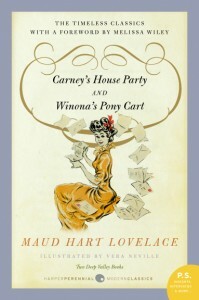 • Maud Hart Lovelace: A Reader’s Guide to Betsy-Tacy. 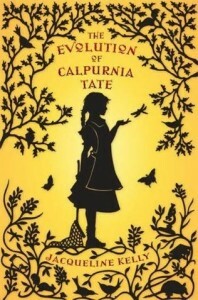 • Jacqueline Kelly: The Evolution of Calpurnia Tate. • Carol Kendall: The Firelings. • Carol Kendall: The Gammage Cup. • L.M. Montgomery: Jane of Lantern Hill. • Linda Sue Park: A Long Walk to Water. • Mitali Perkins: Bamboo People. • William Sleator: Among the Dolls. • Rebecca Stead: When You Reach Me. • Trenton Lee Stewart: The Mysterious Benedict Society. • Vivian Vande Velde: Stolen. Coming soon! For now, here’s my post on why Comics Make You Smart. 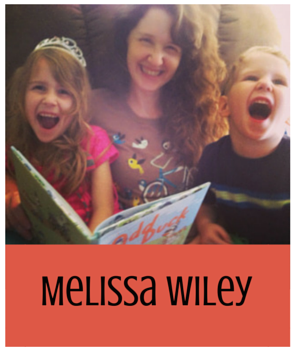 My GeekMom review of Nursery Rhyme Comics. 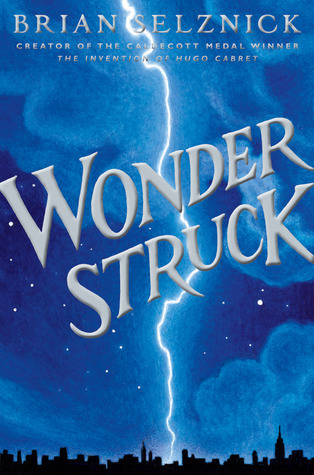 The Oz graphic novel adaptations by Eric Shanower and Skottie Young—truly marvelous! 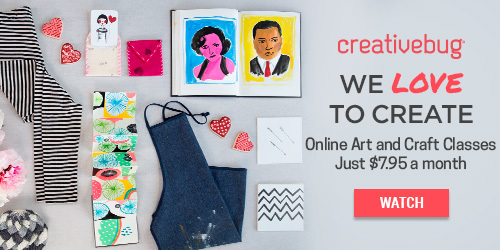 • Deborah Heiligman: Charles and Emma. 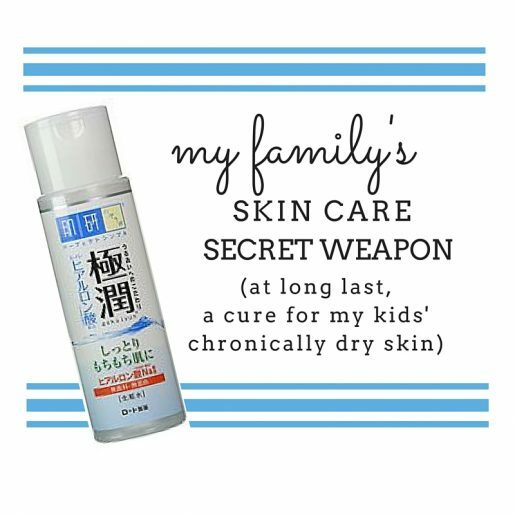 And lots more about it here. • Suzanne Collins: The Hunger Games. • Suzanne Collins: Catching Fire. • Tanita Davis: Mare’s War. • Monica Furlong: Juniper and Wise Child. • Matthew Quick: Sorta Like a Rock Star. • Jame Richards: Three Rivers Rising: A Novel of the Johnstown Flood. 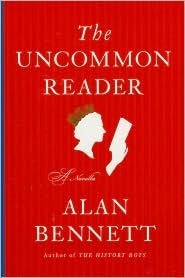 • Alan Bennett: The Uncommon Reader. Also here. • A.S. Byatt: The Children’s Book. Also here. • Elizabeth Goudge: The Scent of Water. • Muriel Spark: Memento Mori. • Neal Stephenson: The Diamond Age, Or: The Young Lady’s Illustrated Primer. • Helene Hanff: 84, Charing Cross Road. • Helene Hanff: Letter from New York. • Nick Hornby: Housekeeping vs. The Dirt. • Nick Hornby: The Polysyllabic Spree. 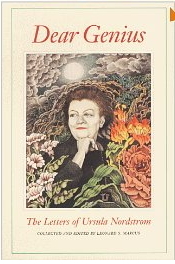 • Ursula Nordstrom: Dear Genius: The Letters of Ursula Nordstrom. • Noel Perrin: A Child’s Delight. • David Gilmour: The Film Club. • Rowan Jacobsen: Chocolate Unwrapped. 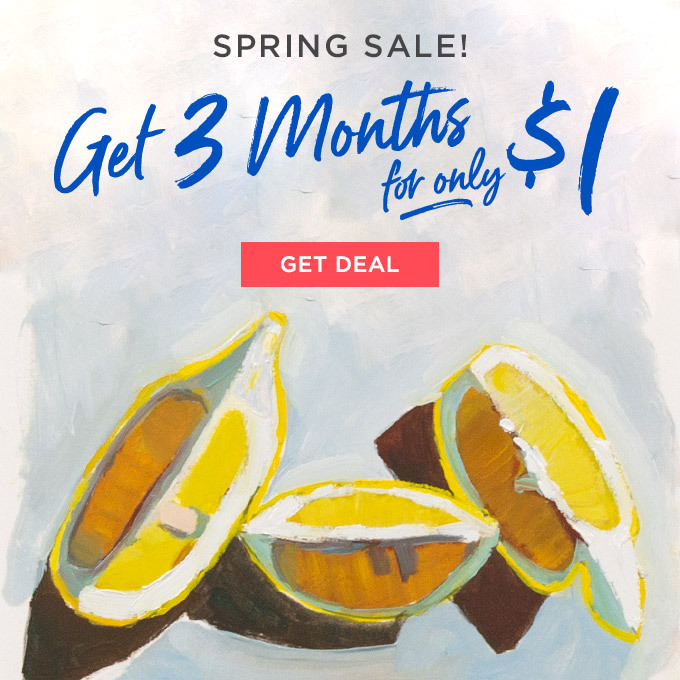 • Rowan Jacobsen: Fruitless Fall: The Collapse of the Honey Bee and the Coming Agricultural Crisis. • Peter Laufer: The Dangerous World of Butterflies. • John Stilgoe: Outside Lies Magic. • Elizabeth Lawrence: Gardening for Love. 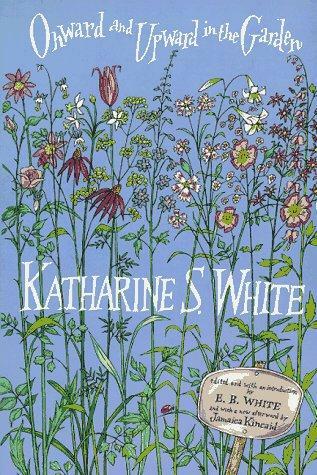 • Katharine S. White: Onward and Upward in the Garden. • Emily Herring Wilson: No One Gardens Alone: A Life of Elizabeth Lawrence. • Emily Herring Wilson, editor: Two Gardeners: Katharine S. White and Elizabeth Lawrence, a Friendship in Letters. • One Day in Elizabethan England by G. B. Kirtland. • Landmark History of the American People by Daniel Boorstin. 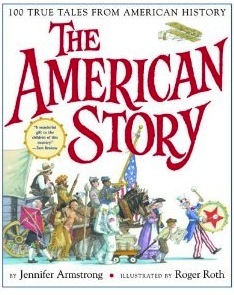 • The American Story: 100 True Tales from American History by Jennifer Armstrong. • A Natural History of Trees by Donald Culross Peatie.